Toronto, ON, May 14, 2018 - North American Safe Boating Awareness Week will take place across Canada from May 19th to May 25th, 2018. 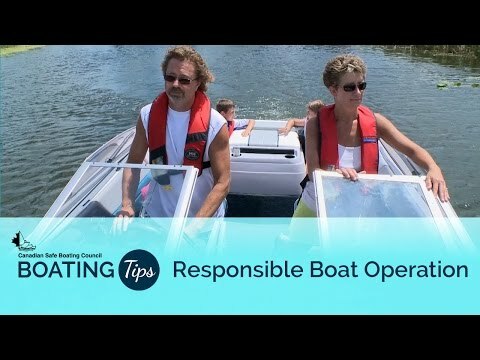 The purpose of this initiative, managed by the CSBC (Canadian Safe Boating Council) and its partners, is to promote safe and responsible boating practices to the estimated 15 million recreational boaters in Canada. Although boating related fatalities have trended downwards in past years, there continues to be an average of over 100 boating related deaths annually in Canadian waters. 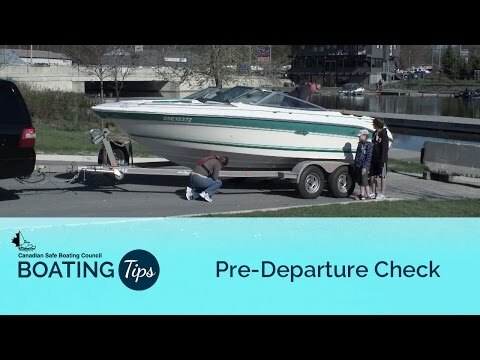 With people gearing-up to launch their boats after a long winter slumber, the goal of the week is to continue to bring those numbers down by ensuring that Canadians who head out in any type of boat have the appropriate knowledge to help them have a safe day on the water. Legally you must carry one on board, appropriately sized for each passenger. But don't just carry it, WEAR IT. "It happened so quickly. One minute you're having the time of your life, the next minute you're fighting for it." That was Dave Kimpinski's comment after nearly drowning in a boating accident. Dave and his young son, Curtis, were pulling Dave's niece Amanda on an inflatable tube with their small outboard powered boat. They hit a large wake from another boat and Dave leaned across to prevent his son Curtis from falling in but instead went overboard himself. Dave wasn't a swimmer, and he wasn't wearing a lifejacket. The boat started to make lazy circles while Curtis cried out for his dad. Amanda saw her uncle struggling to stay afloat and left the tube and began to swim after him. Fortunately, Amanda was prepared for the water and was wearing a lifejacket. She reached her uncle and Dave grabbed on to her. Curtis, meanwhile, pulled the safety lanyard on the motor just like he'd seen his dad do and the boat stopped moving. Amanda's lifejacket kept both of them afloat and they were able to get back to their boat and climb aboard. Dave was lucky! He was lucky that his little boy managed to stop their boat, but he was even luckier that Amanda was wearing a lifejacket and was able to help him. Because of his near tragedy, Dave Kimpinski will tell you he is a much wiser, safer boater today. Boating under the influence is not just illegal; it's irresponsible. Wait until you get back to the pier to have that beer. The motto on the road is "if you drink, don't drive". It's the same on the water. And so are the laws. First and foremost, a boat is a vessel in the same way a car is a vehicle under the Highway Traffic Acts in all provinces and territories in this country. If you are convicted in Canada of driving a vehicle under the influence, you lose your license. 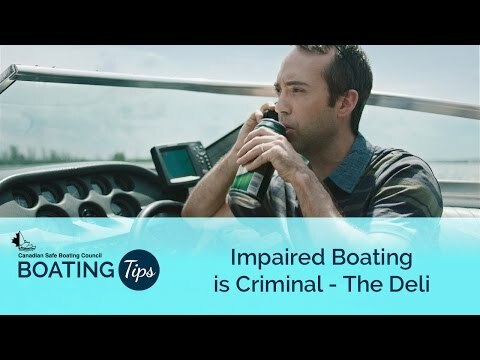 In many parts of Canada, the same thing applies if you are under the influence in a boat. And you might lose your car driver's license too. 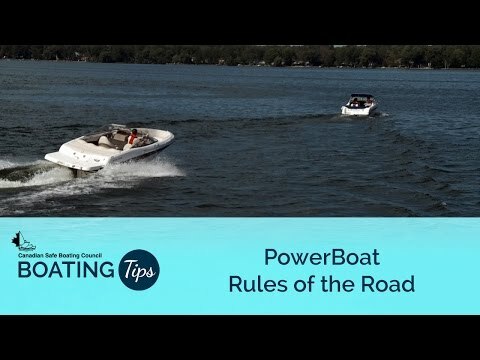 The effects of sunshine and a boat's rocking motion increase the effects of alcohol and, for a boater, a simple ride can turn into a dangerous dunking. 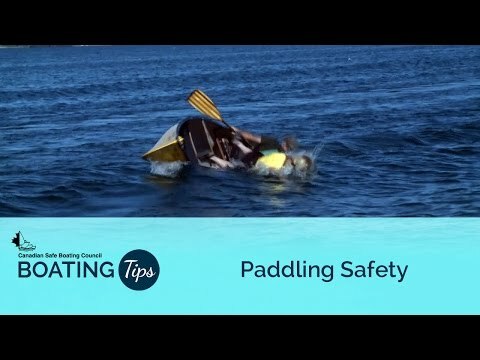 A big wave, a quick change in the boat's direction, or a ‘tippy canoe' can result in someone in the water. Psychologists know that human nature has a way of rationalizing. "It can't possibly happen to me" is often the thought. Whether that means "I'll never be caught" or "I'll never be killed" doesn't matter. Neither of those things will happen if boaters ``Don`t Cruise With Booze``. Afterward, you can have a few drinks on shore and then stay put. It's that simple - If you drink, don't drive. The law now requires that anyone driving a motorized boat must have a pleasure-craft operator card. It's for your own safety and that of your passengers. Don't get caught without one. Take a course and get your license! As of September 2009, every operator of a motorized vessel must have a Pleasure Craft Operator Card (PCOC). The federal government instituted this requirement as a means to instill in boaters a basic knowledge of safe boating practices. 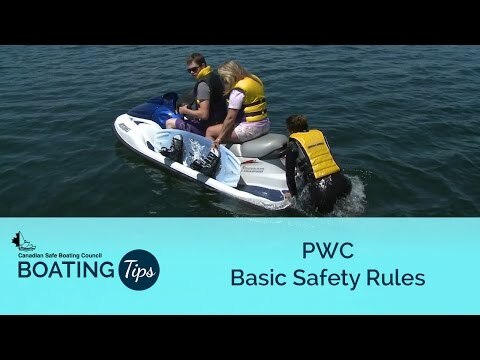 However, keep in mind that the PCOC is just a legal minimum and currently isn't a requirement for operators of non-motorized craft such as smaller sailboats, canoes, kayaks, paddleboats, sailboards, etc. There is a wealth of courses available for every type of boat and activity. These include sailboat racing, various levels of cruising, canoeing and kayaking, marine radio operation, chart reading and many more. They are offered by institutions like the Canadian Power and Sail Squadrons, the Canadian Yachting Association and various canoe and kayak clubs. The increased knowledge that these courses provide not only increases the safety factor; they also ramp up the fun factor! Taking a course is also a way to chase away those off-season blues. The Canadian Safe Boating Council urges you to peruse the course offerings of the above organizations in your area to see exactly what they have to offer. It might just add a new level of excitement to your on-water adventures. 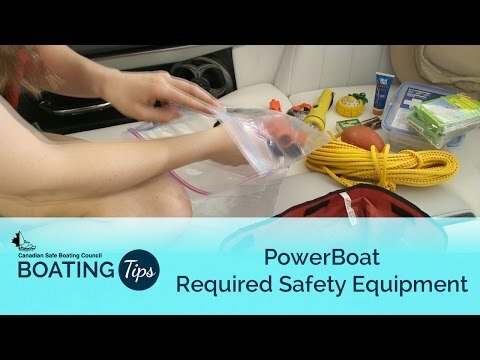 Ensure your boat has all the required safety gear and sufficient fuel. 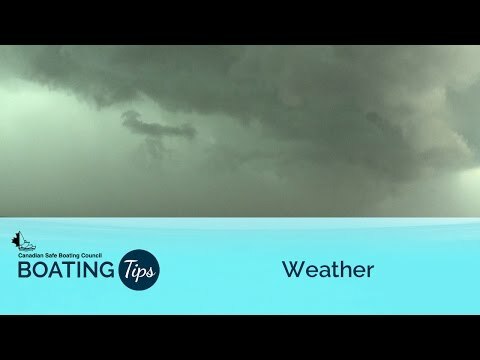 Be sure the weather is suitable for your vessel's capabilities. It's a beautiful day; the sun is shining and you've just launched your boat for the start of another season on the water. And the thoughts of that tough winter just past are quickly forgotten. Everyone's on board, excited about the day ahead, so off you go. The day unfolds as you had hoped it would until a problem leaves you dead in the water. It could be that you've run out of gas or you've had a mechanical breakdown of some kind. What to do? 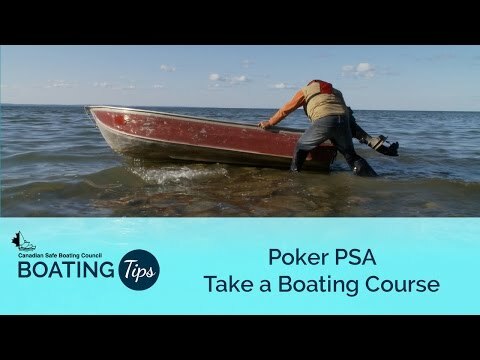 Likely what you did not do is check your boat thoroughly before heading out. And unfortunately, you are not alone. Scott Miller, a Maritime Search and Rescue Coordinator with the Canadian Coast Guard says: "75 to 80% of calls for help to the Coast Guard are non-distress calls; the most common ones deal with boats that have broken down, run aground or have just run out of gas which is far and away the most common call to the Coast Guard." Mechanical failures can strike any boater, any time. That's just part of boating. And it's not necessarily an indication that the boater has simply failed to properly look after the boat. Stuff happens! 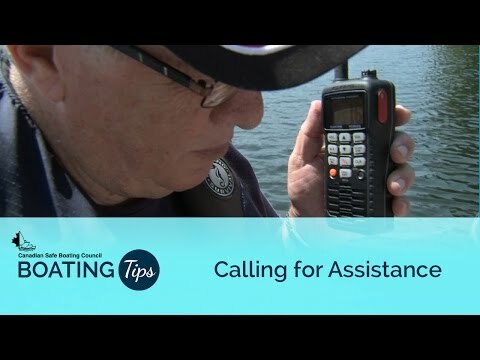 A few simple steps will save you the embarrassment of making an unnecessary call for help and diverting search and rescue resources from areas where their expertise may really be needed! Hypothermia. Say it aloud and it's even an unpleasant sounding word. But it has a simple meaning. It's when the core temperature of your body drops to abnormally low. If it continues for too long, your heart can stop. Many Canadian boaters are aware of hypothermia but most are not aware that it is the ‘final stage' your body reaches after being in cold water. Many people die during the first few minutes of immersion in cold water well before they become hypothermic, they simply drown due to the immediate, involuntary and often deadly effects of cold water. If you accidentally tumble into cold water, the initial cold shock will trigger a gasp response and, if you are underwater, you can inhale up to a liter of water. If you are on the surface, your heart rate can skyrocket; your breathing will be uncontrolled and increase as much 600 to 1000 percent. You can expect panic to set in as well. For most, this initial shock will last about a minute and then the breathing will slowly come back under control. Depending on the water temperature, over the next ten minutes or so you will experience Cold Incapacitation. As your body struggles to preserve its core temperature your limbs will become numb and your ability to self rescue or even simply continue to swim will become impaired. In cold water without a lifejacket, you will eventually become so incapacitated that you can no longer stay afloat. If you are wearing a lifejacket and have not been able to rescue yourself, you can expect to be conscious for about an hour and it will still be some time before you succumb to hypothermia. This is true even in the coldest water and will give rescuers plenty of additional time to find and rescue you. 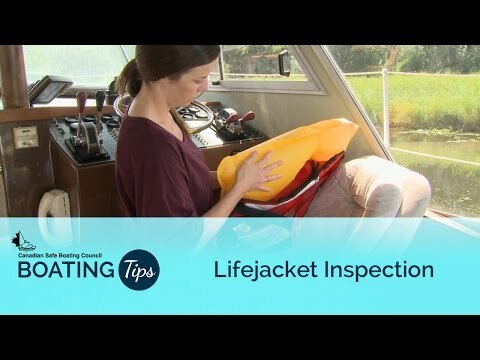 The Canadian Safe Boating Council urges you to take a couple simple preventative measures to avoid becoming hypothermic and/or drowning in cold water. Wear your lifejacket. It guarantees that you will float, especially in those first critical minutes when just trying to catch your breath and figure out how to rescue yourself. Also consider wearing thermal protective clothing that will slow the onset of hypothermia should you fall into cold water. 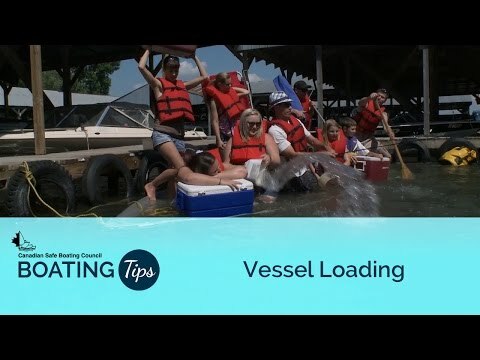 The Safe Boating Awareness Week initiative is promoted by the Canadian Safe Boating Council (CSBC), a registered charity, with support from its members, partners and Transport Canada Office of Boating. For additional information on both the event and boating safety information, please visit www.csbc.ca.